Adding a portable shelter is a perfect way to store and protect your trucks, cars, tractors, yard equipment and landscaping supplies. No permit is required in most places and you put the shelter anywhere you want. 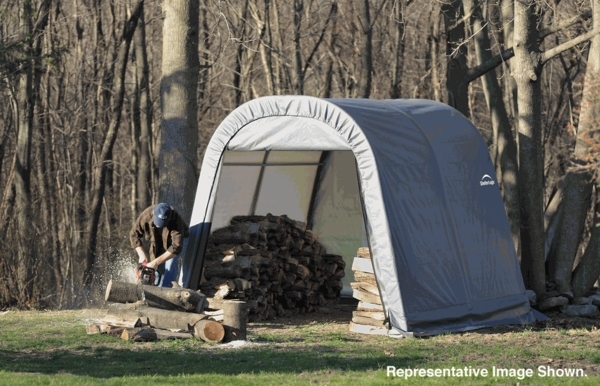 ShelterLogic, the manufacturer of the shelter, is one of the leaders in the portable shelter market. 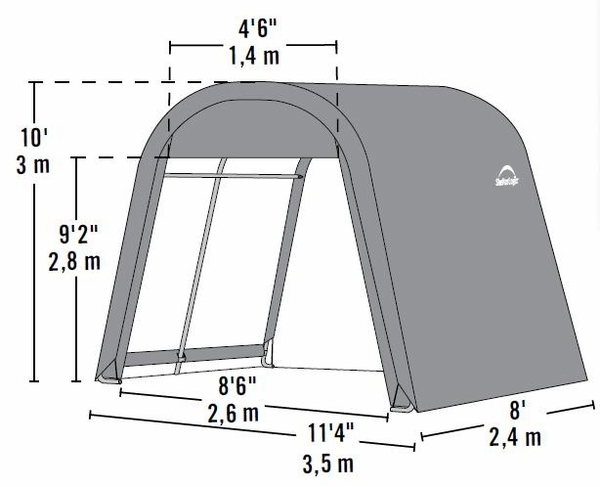 This Round-Style Portable Shelter features a one year warranty. The shelter measures about 11 feet W x 8 feet L x 10 feet H.